In the 2018-2019 school year, our New York City campuses have received technology equipment worth over $600,000. The competitive grants received from local government officials will help prepare students for the future in today’s digital economy. The support from Brooklyn Borough President — Eric Adams, Manhattan Borough President — Gale Brewer, and Council Member — Alan Maisel allows staff from Hebrew Language Academy Charter School (HLA), Hebrew Language Academy and Harlem Hebrew Language Academy Charter School to upgrade technology and infrastructure, make learning more fun, and ensure that students reach their academic potential. 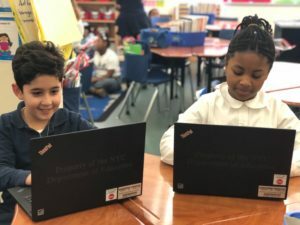 Research has found that when schools provide students with laptops for use in the classroom and at home, learning improved in a number of subjects, including science, math, and English. “Students received more feedback on their writing, edited and revised their papers more often, drew on a wider range of resources to write, and published or shared their work with others more often,” the study concludes. We are grateful for the support we’ve received from Eric Adams, Gale Brewer, and Alan Maisel for investing in our schools and believing in our mission. Imagine a group of awkward teenagers forced to interact with peers they never met. Do you remember being this age? One school has students wearing their school uniform, while the other school wore sweatshirts and jeans. One school from Brooklyn, NY and the other from East Brunswick, NJ. Both from different worlds but have two things in common – both are from one school network, Hebrew Public and are traveling to Israel. One of the most exciting ways that our students learn about Israel and the Hebrew language is by taking our 8th graders on a trip to Israel— what better way to learn and experience one’s culture, than to visit the country! Last year, we took our first cohort of 8th graders on a once in a lifetime trip to Israel. They ate Israeli food, practiced their Hebrew, visited the Dead Sea, rode on camels and completely immersed themselves in Israeli’s deep and rich culture. This year, Jessica Lieberman, our Director of Israel Studies decided to spice things up and do things a little differently. The two schools taking the trip – Brooklyn’s Hebrew Language Academy Charter School and Hatikvah International Academy in East Brunswick, New Jersey – had the opportunity to meet one another prior to their trip! 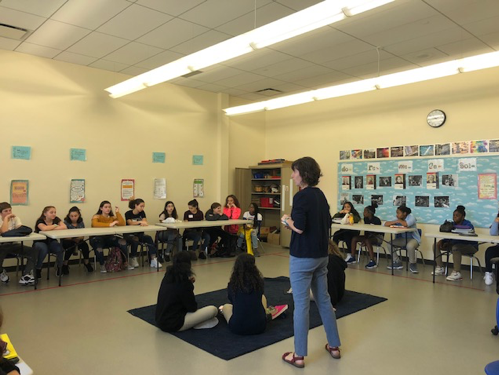 We incorporated lessons from last year and added a pre-trip orientation focused on global citizenship, Israeli culture and what to expect when traveling to another country. We invited  Sarah  Stone to facilitate,  trip chaperones from each school and our keynote speaker for the day was Jamie Williams. 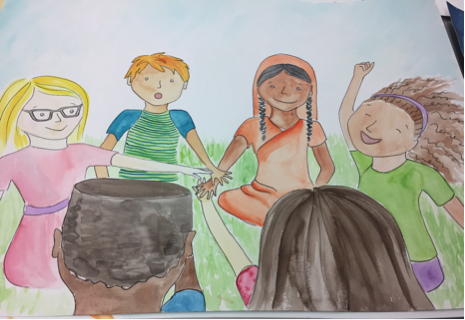 Ms. Stone is an American-Israeli educator/facilitator dedicated to bringing youth together to develop empathy and advocacy skills to enact change in their society. 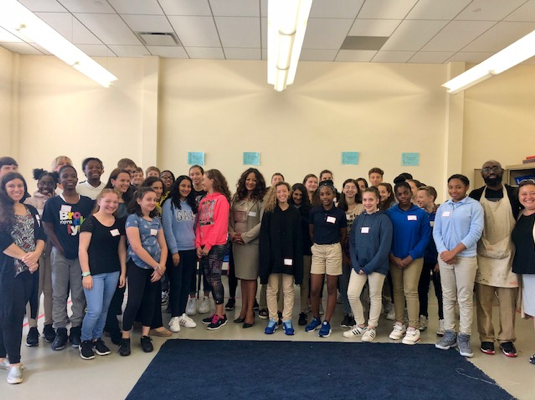 Jamie Williams, a member of the NYS Assembly joined us to speak to our students about diversity in Brooklyn and their upcoming trip. Ms. Stone had the students participate in icebreaker exercises by asking them to stand next to someone that they didn’t know, share their name and a characteristic about themselves. She asked questions to prepare them for their trip; which languages and religions they will learn in Israel, what can they expect to learn from other cultures and a challenge they may face on the trip. The best response was being without Wi-Fi or the video game, Fortnite – what an ironic answer coming from a 13-year-old! 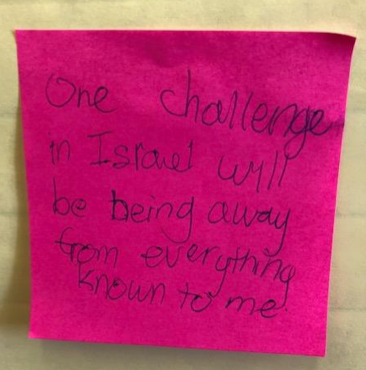 These exercises and questions required the students to step out of their comfort zone and connect with students from a different school and background, which is essentially what they will be asked to do while in Israel. As we observed the students during these exercises, you can see that they began to feel more at ease when they realized that students they never met before had the same responses to how they feel about the trip and what they wanted to learn or experience. Thank you,  Jessica, Sarah, and Jamie for your encouragement and support, and for ensuring that our students are prepared to embark on this journey that we are sure they will never forget. Stay tuned for blog posts and photos of our students making their way through Israel’s most prominent cities! Our Teacher is an Author! We are thrilled to announce that one of our amazing teachers is also an author! 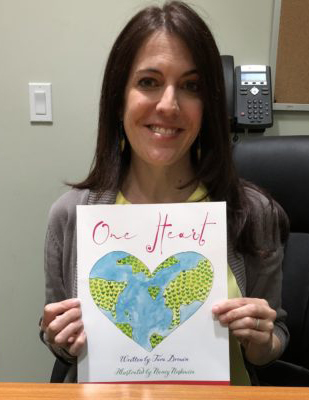 Tara Drouin from Hebrew Language Academy Charter School shared her wonderful book named “One Heart” with us. Tara has been teaching for ten years and has been a musician for twenty. Growing up in a family that played musical instruments and sang, music was embedded in her life at a young age. Tara was inspired to write the song “One Heart” that incorporates her experiences with diversity from being a teacher, a mom and musician. Tara strongly believes that there needs to be more unity and kindness in the world – that is how “One Heart” originated. The song speaks about how we all may have our differences, whether it is a different eye color, skin color or hair color but inside, we all have one heart. Tara believes that this message needs to be shared with children at a young age. At her spare time, Tara enjoys yoga, going to the beach, making jewelry and going to the movies with her husband and daughter. 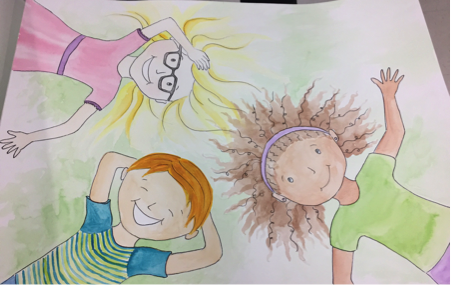 Congratulations Tara and Nancy on creating your first book and thank you so much for being a great example to our students! Tara’s book is now available on Amazon, and can be purchased here. If you’d like to see Tara perform live, she will be performing children’s songs with her friend Katie at Jones Beach Band Shell and the event is free! https://hebrewpublic.org/wp-content/uploads/2017/03/hebrew-public-logo-136.jpg 0 0 Elisabeth Castera https://hebrewpublic.org/wp-content/uploads/2017/03/hebrew-public-logo-136.jpg Elisabeth Castera2018-06-26 00:56:232018-06-27 13:40:36Our Teacher is an Author!